Irvine & Co, along with William Gray & Co, helped make West Hartlepool a major centre for British shipbuilding. 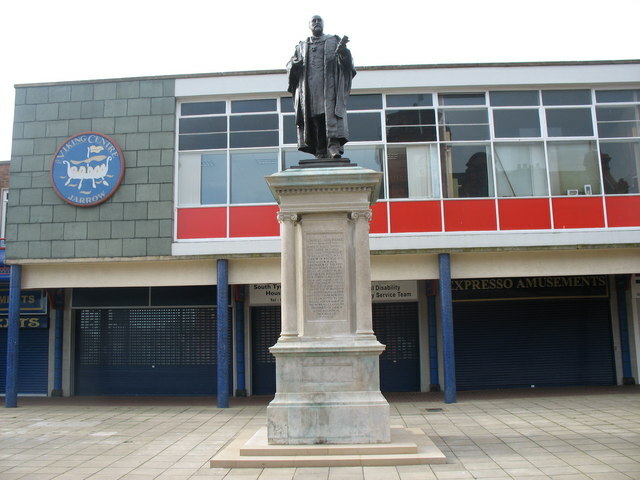 Irvine Currie & Co, shipbuilders, was founded at Hartlepool by Robert Irvine (1824 – 1903) and Alexander Currie in 1863. The first vessel, an iron screw steamer, was launched in 1864. Robert Irvine took full control of the company from 1866. Robert Irvine was succeeded in management by his son, Robert Irvine Jr (1845-1901), from 1880. By this time the firm was better known for ship-repairing than shipbuilding. An average of 300 workmen were employed. The firm was acquired by Christopher Furness (1852 – 1912) in 1887, and renamed the Irvine Ship Building and Dry Docks Company Ltd.
Irvine’s yard was struck by fire in 1891, with damage estimated at £20,000. The yard was considerably extended in 1897 to enable it to construct steamers of 10,000 tons deadweight. There were three large berths, and the yard employed around 1,000 men. Robert Irvine died in 1903 and his estate was valued at £104,238. Irvine & Co had the capacity to construct 24 steamers per annum in 1908. The Furness Withy shipyard at Middleton, Hartlepool, was acquired in 1909. In 1911 Irvine & Co was the eighth largest shipbuilder in Britain, as measured by gross tonnage. Irvine & Co built twelve ships a year during the First World War. The company was acquired by the Commercial Bank of London, led by Clarence C Hatry (1888 – 1965), in 1917. The company prospered during the First World War, but had to reduce its capital in 1920 following a depression in the shipbuilding industry. The company employed 3,000 employees by 1922. The yard covered eleven acres. The last Irvine-built vessel to use the dry dock was in 1924. The shipbuilding yard was closed in 1925-6. The company entered receivership in 1926. Capital was further reduced from £740,000 to £157,000 in 1929. The company entered into liquidation in 1930 after accruing excessive debts. Later that year the yard received a reprieve when it was acquired as a going-concern by a syndicate of West Hartlepool businessmen, led by Stephen Furness, with a capital of £20,000. The plan was to maintain the yard with repairing and breaking contracts until the shipbuilding industry revived. Unfortunately Britain had an oversupply of shipyards, and in 1938 the yard was nationalised by the government and mothballed. Attempts to reopen the yard during the Second World War were unsuccessful due to a shortage of labour. It was found to be more efficient to simply increase production at existing shipyards. Palmer’s was the largest shipbuilder in the world throughout much of the latter half of the nineteenth century. Due to its influence on its Tyneside community, Jarrow was nicknamed “Palmer’s Town”. Charles Mark Palmer (1822 – 1907), a colliery-owner, and his brother George Palmer (1814 – 1879), leased a shipyard at Jarrow on Tyne in 1851. They launched the John Bowes, the first successful iron-built, steam-powered, screw-propelled, water-ballasted collier, in 1852. Palmer’s received its first Royal Navy contract in 1856. The HMS Terror was the first rolled-iron, armour-plated ship. The Royal Navy association would remain throughout the history of the company. Four blast-furnaces were built in 1857, and rolling mills in 1859. Palmer’s was the largest shipbuilder in the world by 1859. The business employed 3,500 men, consumed 18,000 tons of iron, and produced over 22,000 tons of shipping every year by the early 1860s. The firm was registered in 1865 as Palmers Shipbuilding and Iron Company Ltd.
Rolling mills were established in 1874. In 1874 C M Palmer was appointed as a Member of Parliament. However the business suffered without his presence, and he was forced to return in 1876 to save the company. Various members of management were dismissed. In 1883 Palmer broke the record for the largest shipping tonnage (61,113) produced in a single year. Palmer was largely producing cargo-carrying steamships for the coal and iron industries of the North of England. By 1886 the majority of the workforce consisted of Irish immigrants. In 1893 the shipbuilding works employed 7,600 workers. The works began to make a loss, and Palmer, facing bankruptcy, resigned as head of the company in 1893. In 1899 Palmer was the sixth largest shipbuilder in Britain, as measured by tonnage. By 1900 just under 10,000 men were employed by the company. Between 1852 and 1900, nearly 1.25 million tons of shipping were produced, more than any other company. Palmer died in 1907, and Arthur Bryan Gowan (born 1862), a former draughtsman from Berwick upon Tweed, was appointed managing director. The company employed 7,500 people in 1908, and was amongst the top thirty largest British manufacturing employers. In 1910 the Jarrow works covered nearly three quarters of a mile along the River Tyne, and about 100 acres. The works included a steel-producing plant and five blast furnaces. In 1910 Lord Furness, a local industrialist, became chairman of the company. Furness planned to extend and consolidate the firm. Under his impetus, in 1911 the firm acquired Robert Stephenson & Sons, with a shipyard at Hebburn. 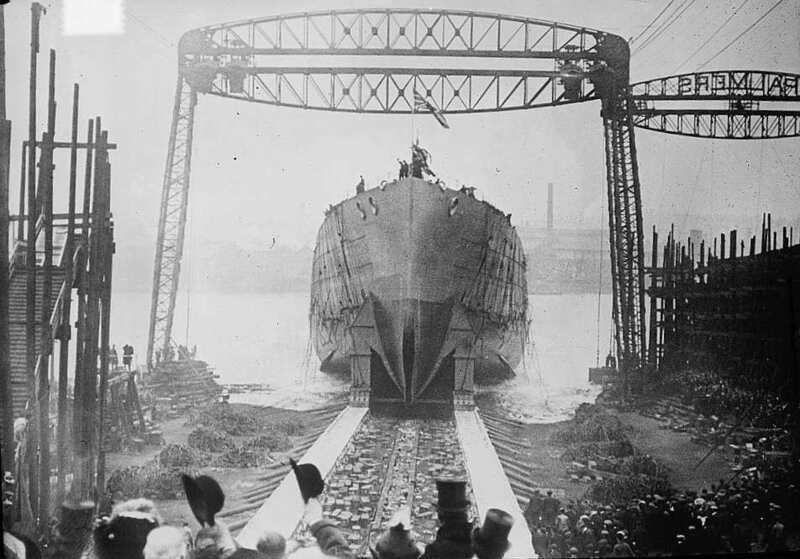 The Hebburn site included the largest dry dock on the East coast; the only one capable of accommodating the new dreadnought battleships. 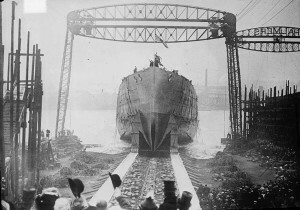 Hebburn would take on merchant work, and Jarrow would be largely dedicated to naval contracts. Following a reluctance of shareholders to contribute further capital to the company, as well as his ailing health, Furness resigned in 1912. The national coal strike of 1912 cost the firm £30,000. By 1913 the firm had built 76 battleships at its Jarrow yard. In 1919 the firm had a capital of £883,145. In 1921 the steel plant alone employed 2,500 men. By 1926 the firm employed 10,000 people when operating at full capacity. Palmer’s built its thousandth vessel in 1930. Palmer’s shipyard entered receivership in 1934. It was taken over by National Shipbuilding Securities Ltd, a government company which acquired redundant yards. In 1934 Thomas W Ward Ltd of Sheffield, a dismantling firm, acquired the Jarrow blast furnaces and steel works. The company acquired the yard in 1935. Vickers Armstrong Ltd acquired the Hebburn site in 1935, which continued to be operated under its old management. The poverty that ensued among former Palmers workers led to the Jarrow March of 1936.